Call 780 417 2323 or email sherpark@briteviewglass.com for your quote! Since 2001, Brite-View Glass has been providing exceptional windshield repair to residents of Sherwood Park from our two convenient Edmonton locations. Services include shuttle pick up and drop off and mobile glass services to any home, business or industrial site in Sherwood Park. We offer a complete range of residential, commercial and auto glass repair and replacement services to Sherwood Park residents, as well as professional glass manufacturing and custom cutting for mirrors, glass shelving units, table tops, shower doors, interior glass walls, privacy glass and more. We have two locations serving Edmonton and the entire capital region: Leduc, Nisku, Devon, Sherwood Park, Stony Plain, Fort Saskatchewan, St. Albert, Beaumont and everywhere in between. North end at 14209 – 130 Avenue and south side at 8714 – 51 Avenue. Brite-View Glass in Edmonton has built a reputation for integrity, honesty and quality in all our products and services. Everything we do is backed by industry-leading warranties and our personal commitment to excellent customer service. 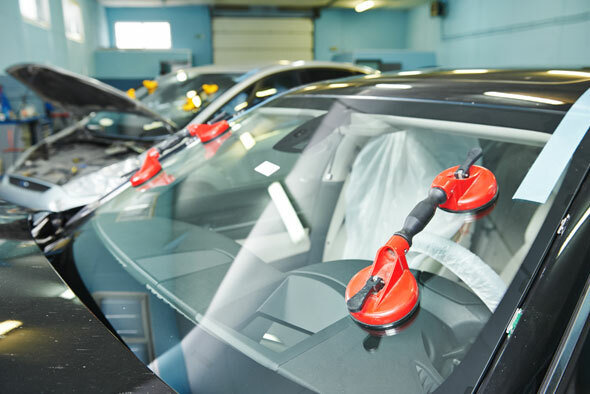 Leaders in Sherwood Park auto glass repair and replacement, Brite-View Glass has built a reputation for quality and trust, using only high quality auto glass that is clearer, safer and more resilient. Every piece of glass we handle is Installed expertly and efficiently, to the highest professional standards. From repairing a chipped windshield to complete replacement of any window on your vehicle, we offer fast, convenient and quality automotive glass services in Sherwood Park. We use quality parts installed by expert glass professionals and all of our work is backed by industry leading warranties. Brite-View Glass windshield repair in Sherwood Park is convenient, competitively priced and reliable. Our automotive glass services include: windshield chip repair; windshield replacement; repair and replacement of all side windows; repair and replacement of sun roofs and moon roofs; repair and replacement of rear windows; repair and replacement of side mirror and rearview mirror glass; auto glass repair and replacement on all makes and models of personal; business, commercial and industrial vehicles. Brite-View Glass helps keep your Sherwood Park home safe and comfortable, with our full slate of residential glass services. Our expert glass installers do it right the first time to keep your home secure and protected from the elements. We use only quality parts and materials, and all our work is backed by our industry leading warranty. Brite-View Glass also works with your insurance company to help resolve claims. For honesty, integrity and professional service, choose Brite-View Glass for your Sherwood Park home. Our residential glass services include: complete installation on new home builds; complete replacement of existing windows; custom cutting for doors and screens; bay windows and other customized large windows; garage windows; glass solarium walls; skylights; shower doors; custom mirrors; custom cut glass table tops, shelving and cupboard doors. We manufacture and custom cut clear, textured, patterned, tinted, tempered or bevelled glass in any size and shape to your specifications. Broken and damaged glass doesn’t just make your store front look bad, it threatens the security of your employees, your clients and your entire Sherwood Park business. Brite-View Glass knows how critical properly installed and sealed glass is to keeping your business safe and protected from the elements. We offer quick and efficient expert repair and replacement of glass doors and exterior glass walls, plus we will work with your insurance company to help resolve any claims. All of our glass work is backed by our industry-leading warranty. For quality products and expert glass installations in Sherwood Park, trust your commercial and industrial glass needs to Brite-View Glass. Our commercial glass services include: complete installation of exterior and interior glass for your new business in Sherwood Park; complete repair and replacement of exterior windows and glass doors on existing businesses; custom glass cutting in any size and shape to your exact specifications; custom built glass storage units, showcases, shelving, interior walls and mirrors. Custom glass is available in clear, tempered, textured, tinted, bevelled or patterned styles. For custom glass manufacturing and cutting in Sherwood Park, Brite-View Glass is your best choice. Oddly-shaped windows, mirrors, showcases, shelving, table and desk tops, shower doors, interior walls and office doors – whatever you need, the experts at Brite-View Glass can cut it. We place no limits on size and shape! Glass is available in a variety of styles: clear, textured, patterned, tempered and tinted. Individual pieces can be finished with custom edging, including mitred, chamfered, bevelled, ogee and waterfall. Complete solutions to all of your glass needs. Call or email us for your quote!